RESPECT IS SHOWN TO ALL MEMBERS REGARDLESS OF FAMILY STATUS AND RANK AND MUST BE SHOWN TO ALL ENEMIES AS WELL. ONLY RANKING MEMBERS OF THE FAMILY ARE ALLOWED TO CALL OUR MEMBERS TO A FIGHT. ALL REQUESTS FOR HELP MUST BE SUBMITTED TO AN OFFICER OF THE FAMILY. BEFORE ANY MEMBERS OF THE FAMILY ENGAGAGE IN BATTLE THE REASON FOR THE ATTACKS MUST BE CLEARED AND POSTED FOR THE FAMILY TO VIEW. MEMBERS MUST FOLLOW THE ORDER OF THE RANKING OFFICAL IN THE FAMILY. EACH FAMILY MEMBER HAS THE FULL PROTECTION OF THE FAMILY PROVIDED THE FOLLOW THE CODE OF CONDUCT. ALL MEMBERS SEEKING PROMOTIONS MUST DISPLAY THE CHARACTORISTICS WE AS A FAMILY ARE SEEKING. RECRUITING NUMBERS, FIGHTING ABILITY, PERSONAL ASSESTS, ABILITY TO AID FAMILY IN A UNIQUE CAPACITY. MEMBERS MUST SHOW LOYALTY TO OUR FAMILY AND HAVE PROVEN TRACK RECORD POSTED FOR THE FAMILY. BEFORE ANY RECRUIT GAIN FULL INDUCTION INTO THE FAMILY, MEMEBERS MUST VOTE ON THE NEW RECRUIT TO GAIN FULL ACCESS TO OUR FAMILY. OUR CODE OF CONDUCT IS BASED SOLELY ON RESPECT FOR ALL MOBSTERS, AND THE AWARENESS THAT EACH PLAYER ON THE GAME HAS THE RIGHT TO THEIR OWN GAME. EACH MEMBER MUST RELIZE THAT NOT EVERY PLAYER IN THE GAME PLAY THE SAME GAME AS WE DO. WITH THAT IN MIND ALL FAMILY MEMBERS MUST FOLLOW OUR CODE OF CONDUCT TO THE LETTER TO HAVE THE FULL SUPPORT OF THE FAMILY IN ANY TIME OF NEED. 1. ALL FAMILY MEMBERS SHOULD HAVE THE STRENGHTH TO HANDLE AND SMALL SCALE WAR LAUNCHED ON THEM. We have time and money invested in you to make sure you are the strongest mobster you can be. 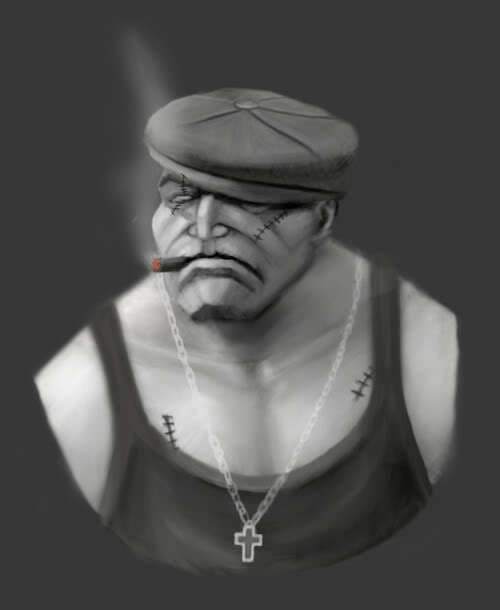 If you are being attacked by a single mobster playing the game, we will give you advice on how to attack and win, and to build a stronger mobster yourself. If you are being attacked by a small group or any organized attack from another family, group or clan, you have the full support of the family in your time of need. 2. When you are called to a battle you are fighting in the name of Illuminate. You will be expected to present yourself in a way that separates us from the rest of the game. Their shouldn’t be any personal attacks of any kind to any enemy. Profanity, gender specific attacks or any racial comments will be subject to removal from our family. You must keep in mind at all times that this is a game and no one should have to suffer personal attacks as a result. Again not everyone has the same standards we do in battle. We as a family should be able to handle the worst they can give and continue to deliver justice with high standards. 3. We must also have open communication with our enemies at all times. In order to effectively kill them we need to know they are alive and ready to die. Spending money, badges or time on an enemy who is not home is wasteful and needless. We have the ability to wait and attack when our timing is correct. We will always before any coordinated attack try to open lines of communication with our enemy and hear their version as they see it. 4. Just because we have power, it’s not always in our best interest to use it, or waste it. We want our enemies to fear us and respect us. If we use our power just because we have it, we are proving we are incapable of maintaining power.